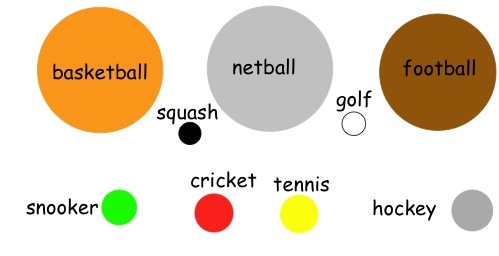 You might like to find a few different balls at school to get a feel for their different sizes before trying this challenge. Try using the diameter information to make circles the right size and use them to explore. If a line is drawn on the ground and the balls are put on that line with each ball touching the one in front and the one behind, which arrangement makes the shortest line of balls? 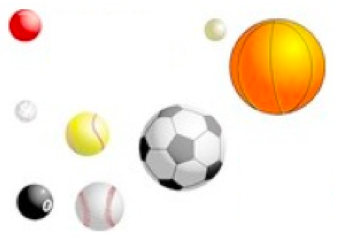 Which arrangement makes the longest line of balls? Addition & subtraction. Circle properties and circle theorems. Compound transformations. Practical Activity. Interactivities. Tangram. 2D shapes and their properties. Trial and improvement. Regular polygons and circles. Visualising.